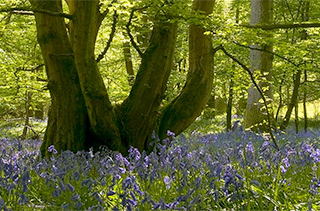 Online booking is now open for April - please scroll down to 'Forthcoming Events' at the bottom of this page. If you would like to be added to the contact list for your local group to be advised when future blocks open for booking, please click the 'contact the leader' link just above forthcoming events at the bottom of this page. 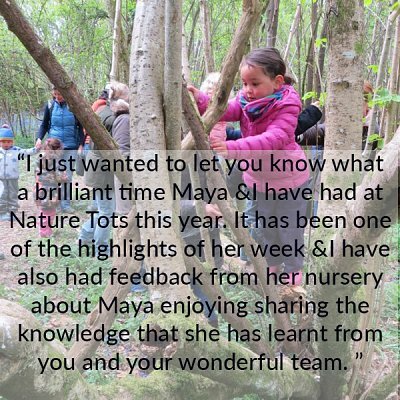 Tots is a Forest School programme developed specifically for pre-school age children, providing a wonderful opportunity for your little ones to experience and learn from nature. 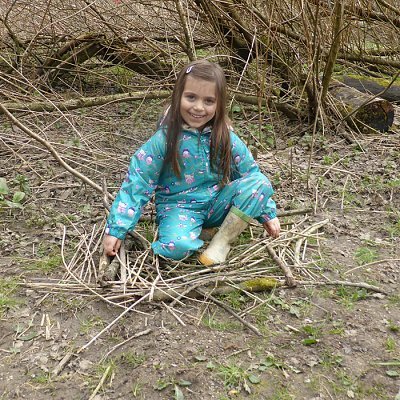 We engage children in hands-on outdoor activities themed around wildlife. 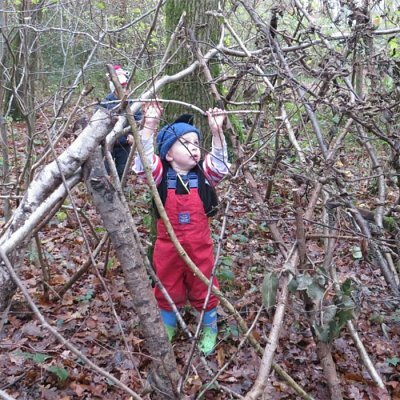 Tots are encouraged to tackle woodland craft skills for themselves, and gain a sense of achievement from successfully completing tasks such as using a bow saw and bit and brace drill to make their own name disk to take home. The sessions will encourage independent learning and team working – all of which will help to boost communication skills, problem solving, physical development and creativity. This is child-led learning and the role of the accompanying adults is to assist the Tots in doing as much of the task for themselves as possible. Sessions are booked in blocks of 4-7, in line with school half terms, and the cost works out at £8 per session for Family Members of the Trust, and £9 per session for non-members. We go outside rain or shine, so please dress for the weather and be ready to get wet and muddy! 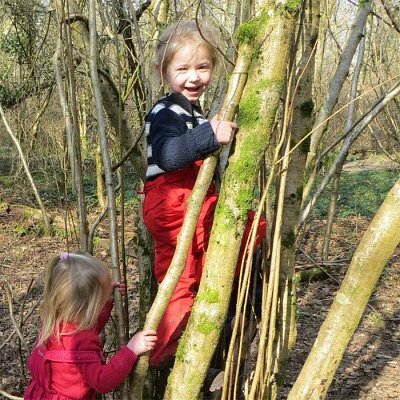 It is essential that the children are appropriately dressed as the temperature can be a little cooler in the woods, long trousers and stout shoes or boots are recommended. So why not come along and give it a go! Please email your group leader after booking, to let them know if you are bringing a younger sibling aged two and under to enjoy the songs, stories and games free of charge. 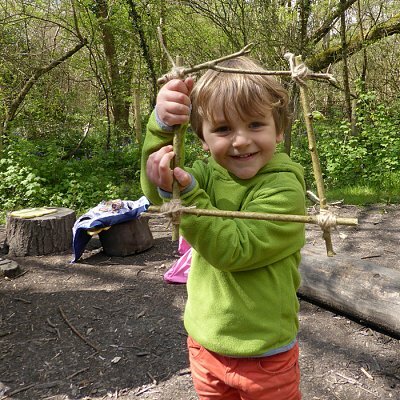 If you are bringing a younger sibling aged two along with an older Nature Tot, and you also wish them to take part in the woodcraft activities, please ensure you book and pay for the additional place. 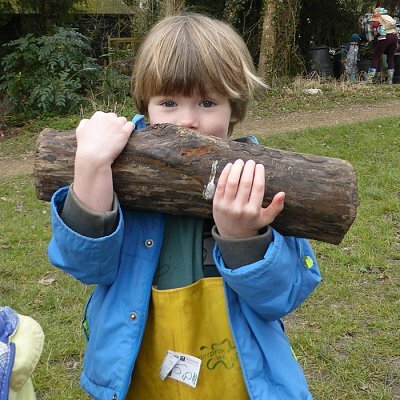 Would you like to volunteer with us to help run Nature Tots sessions? If the group you require is fully booked or not yet posted, and you would like to be added to the Leader's contact list to be advised when future blocks open for booking, please contact the leader here by scrolling down to their photo and clicking the link.